A combination of simple lines with a machined diamond knurl pattern gives this a real industrial look and feel. 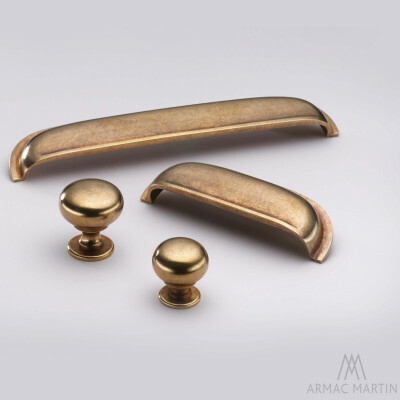 The Sparkbrook Cabinet Collection by Armac Martin comprises of a cupboard knob, T-bar handle, 3 sizes of cabinet pull and a larger appliance pull. The group image here shows Satin Brass Unlacquered and the individual images are Polished Nickel. These handcrafted fittings are Made to Order, so are non-returnable, please double check sizes before ordering and allow for a lead time of 5 weeks. The Sparkbrook Cabinet Collection by Armac Martin is a modern, contemporary design with an industrial feel, very on trend at the moment. 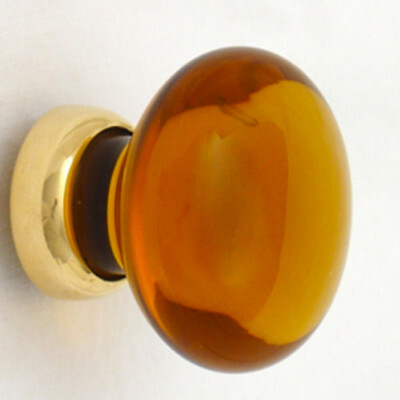 With a selection of cupboard knobs, handles and an appliance pull these are perfect for kitchens, utility rooms, boot rooms, bathrooms and home offices. 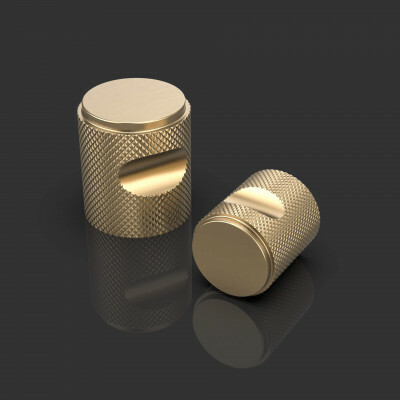 They are made from solid brass and have a precision engineered diamond pattern to give it a distinctive look. 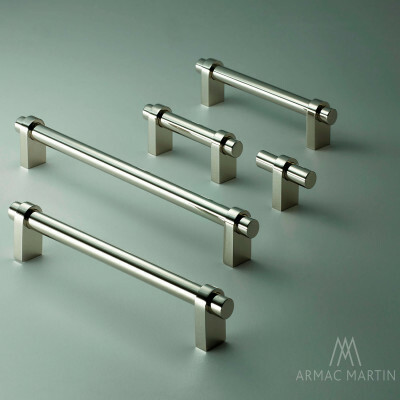 Designed and manufactured in the UK by Armac Martin these are excellent quality and offer a truly luxurious finish to all types of internal cabinetry. We are pleased to offer their unlacquered, living brass finishes and unlacquered plated finishes. 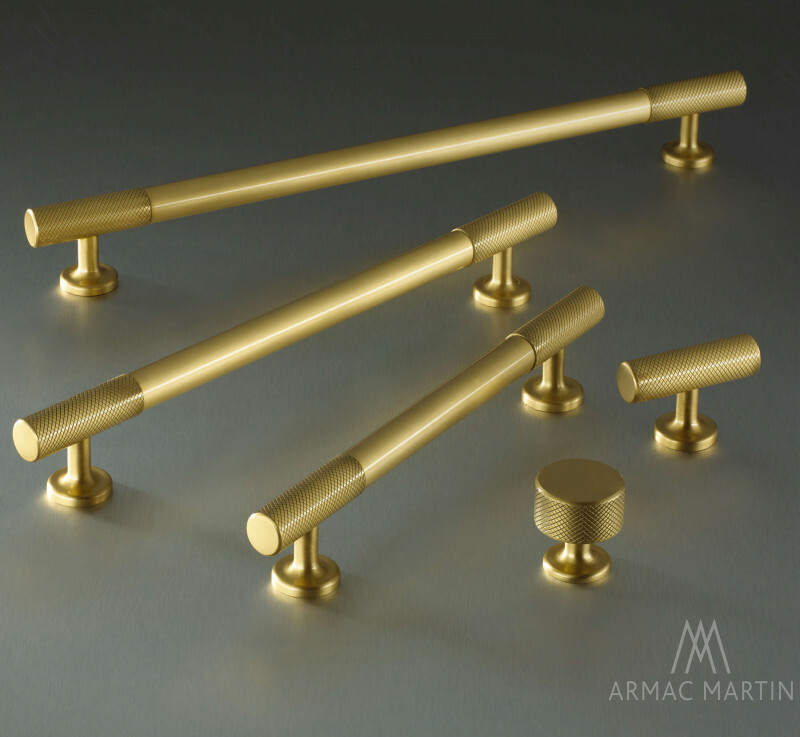 Armac Martin do offer a more extensive range of finishes and if you would like more information on these please do contact us. Sold individually and supplied with necessary fixings. All Armac Martin products are Made to Order, please check sizes and finishes carefully as these items are non-returnable. Allow a lead time of approximately 5 weeks.